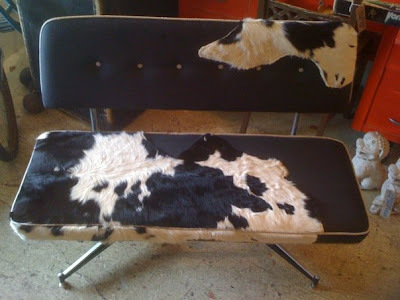 go mod with this retro bench transformed with charcoal denim, cow hide and linen. talk about a conversation piece! always something new and forward happening at Mignonne Décor! 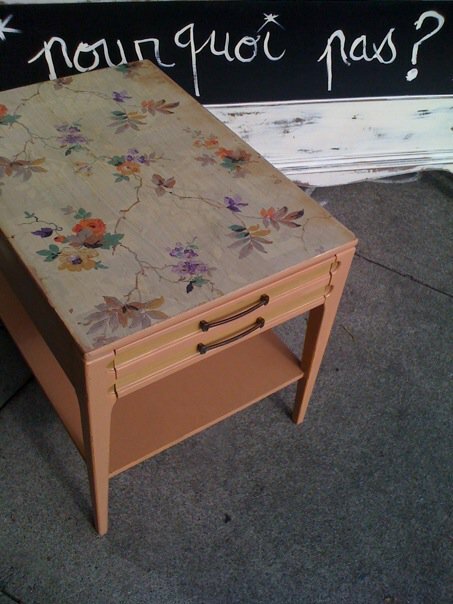 check out this adorable little table, reimagined and transformed with vintage wallpaper and lovely paint details. 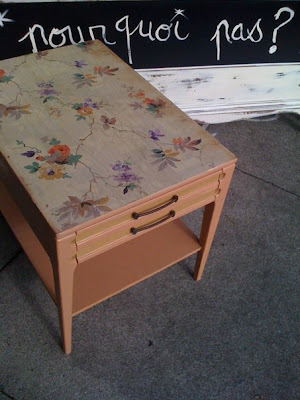 While this sweetie has sold, Mignonne Décor can customize something just as unique for you. Choose from our stock of vintage papers and fabrics, as well as a selection of beautiful colors and painting techniques. 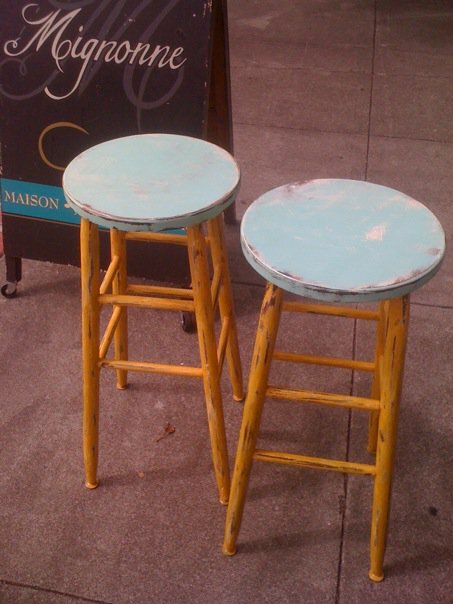 give us a call for help with your project ... affordable and creative options await!